And @Jack can't to a damn thing about it!!! Total paradigm shifting moment the contrast of it, with Sarah Huckabee Sanders sitting right there at the head table. Just watch this tomorrow morning when you wake up. I think the MSM's universe and sphere of influence just imploded! And those in attendance were laughing it all up and didn't even notice! This is one of those strange worldview paradigm shifting moments. 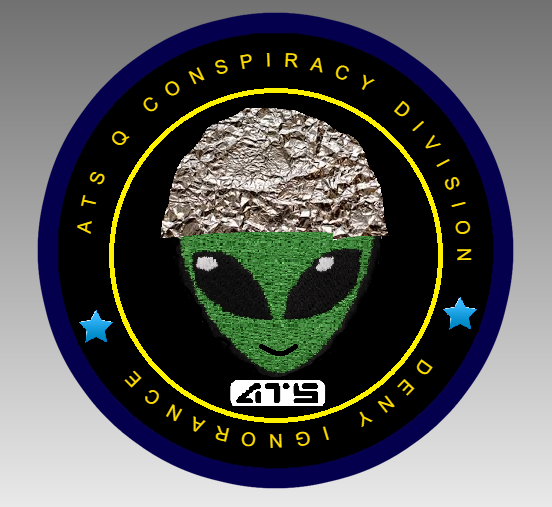 LOL, let's make it mission patch day! Heard Kathy Griffen was there too in all her glory. "A MOAB" anagram is Obama. Peace on the Korean Peninsula isn’t big news? Should we drop a #MOAB on that? He has used biblical phrases? Why is it that the Chinese dynasties are still here? what's the secret behind them that they never fell appart? I think they have had their rise and fall as well within China; overall the Chinese as an Empire has possibly withstood due to their isolationist past. Just as elements of their culture/religion have been subsumed into a victorious empire so I presume the controlling bloodlines from the conquered are still there in the new.